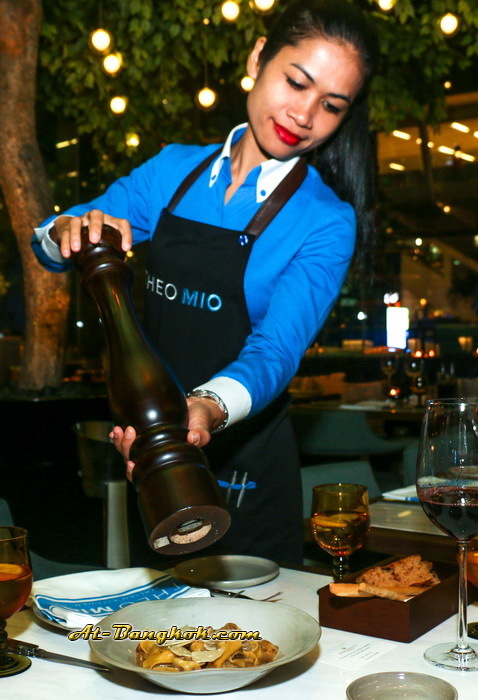 Theo Mio is the new Italian restaurant at the Intercontinental Bangkok, under the supervision of celebrity chef Theo Randall. 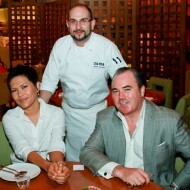 Chef Theo has an extensive background in the hi-end London culinary scene. He has won many awards including; “Italian Restaurant of the Year 2013”at the London Restaurant Awards and “Best Hotel in the UK for Food” from Condé Nast Traveller and the list goes on. 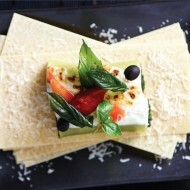 Now he brings his Italian cuisine to Bangkok. Chef Chris Beverley is the chef de cuisine under chef Theo supervision. 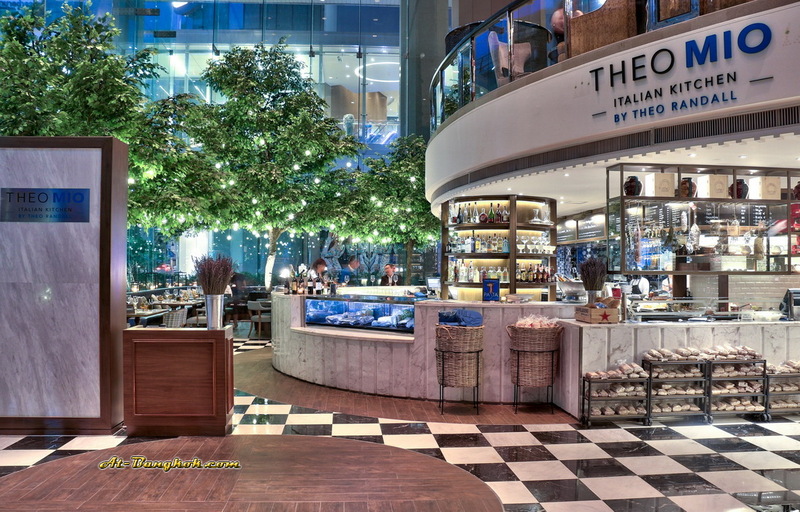 Theo Mio Italian Kitchen by Chef Theo Randall is located at the ground level of the Intercontinental Bangkok. 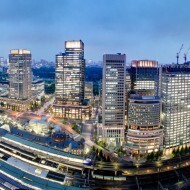 During the evening the ambiance is very elegant. 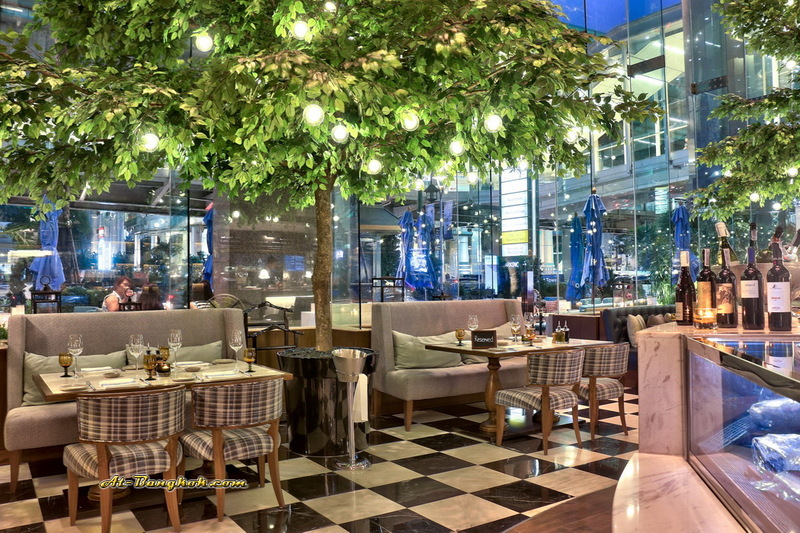 The seating space has double height ceiling surrounded by floor to ceiling glass walls. 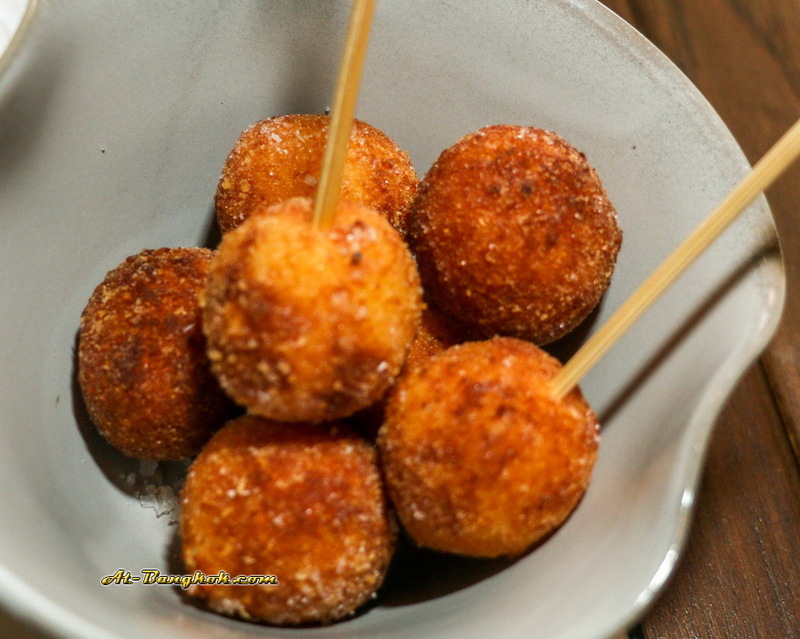 We started with Nduja Crochette (225 THB) perfectly deep-fried potato and Calabrian spicy sausage with sweet tomato sauce. 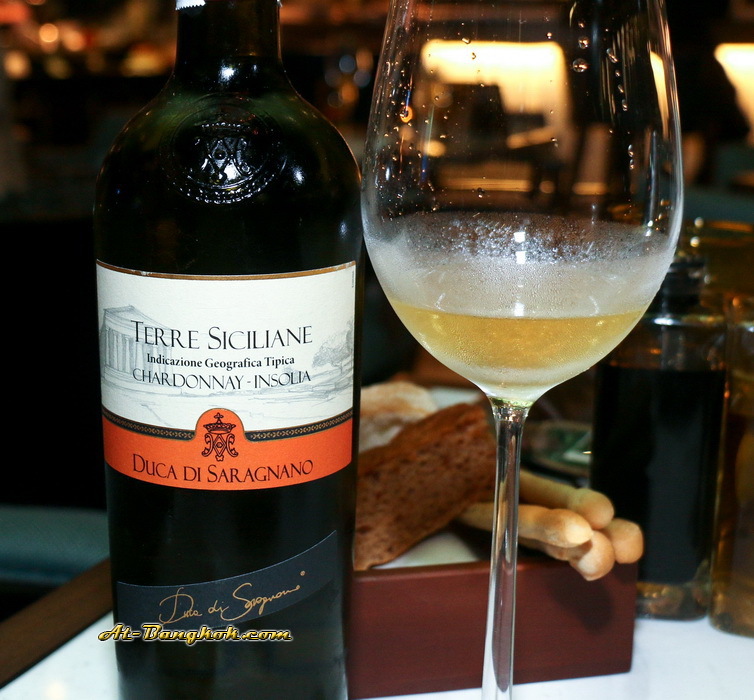 Our server recommended a chilled Duca Saragnano, Chardonnay, Italy 2013 (250 THB) to go with the appetizer dishes. 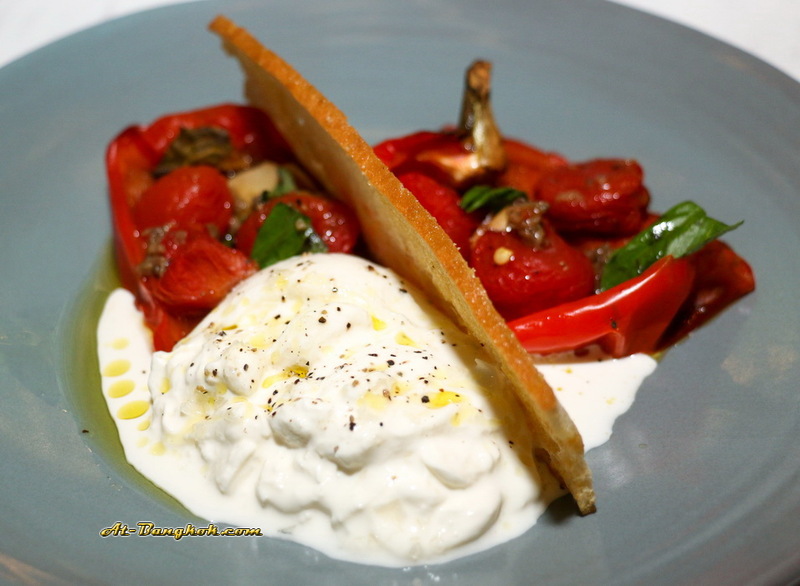 Burrata (525 THB) was a very simple dish; the burrata was very creamy served with slow cooked red peppers stuffed with tomatoes basil gave a sweet and acid character to the dish. 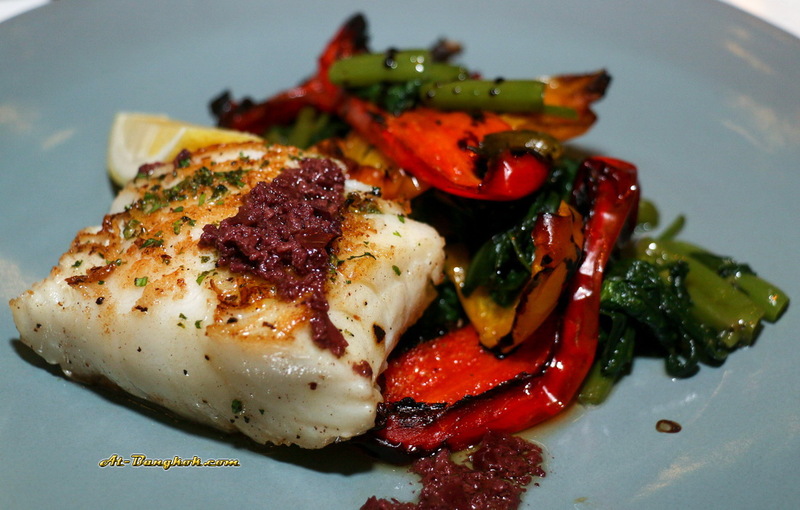 The capers and salted anchovy gave it saltiness making the dish well balanced. 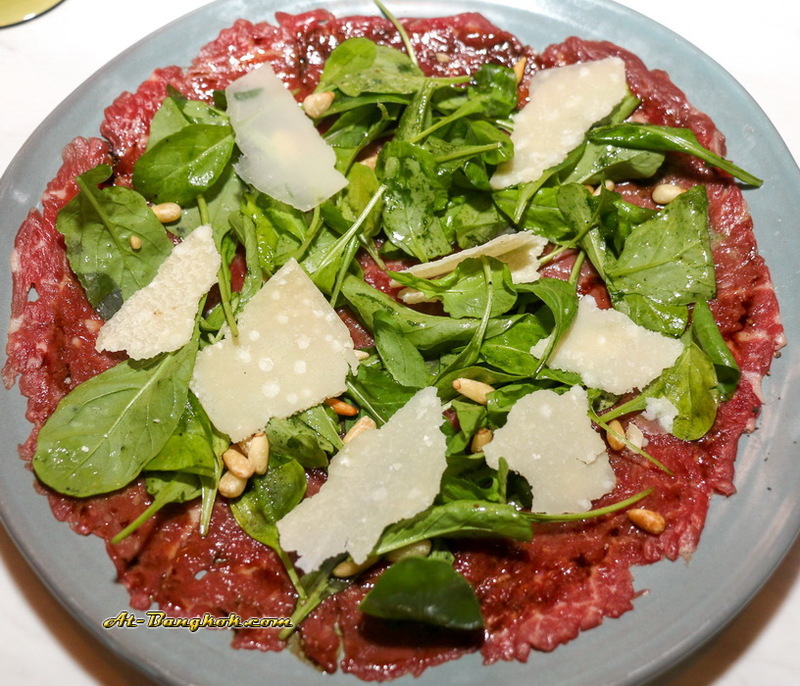 Beef Carpaccio (600 THB); the beef was thinly sliced very tender and very tasty served with wild rocket and Parmesan shavings with aged balsamic vinegar and Puglian olive oil. The toasted pine nuts was a very interesting component to this dish, it provides a variety of texture and taste. 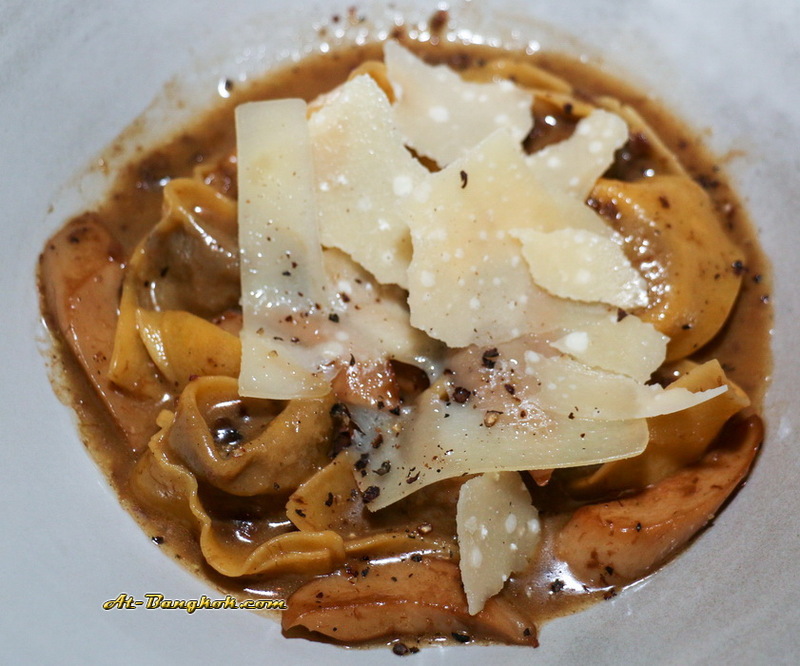 Cappelletti di Vitello (420 THB); the handmade pasta was cook just right al dente stuffed with a flavorful slow cooked veal. The sauce was also very tasty with porcini mushroom, butter and parsley. Pesce Neve (1,150 THB); Roasted snow fish had a nice caramelized surface making it more yummy. Served with slow cooked red peppers, morning glory and black olive tapenade. 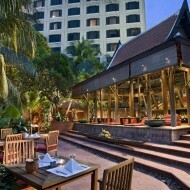 What was interesting was the morning glory a Thai vegetable that I never had in an Italian dish before but it worked. 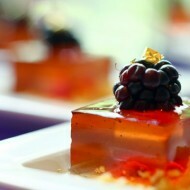 It was sweet and flavorful, elevating the dish to more complexity. 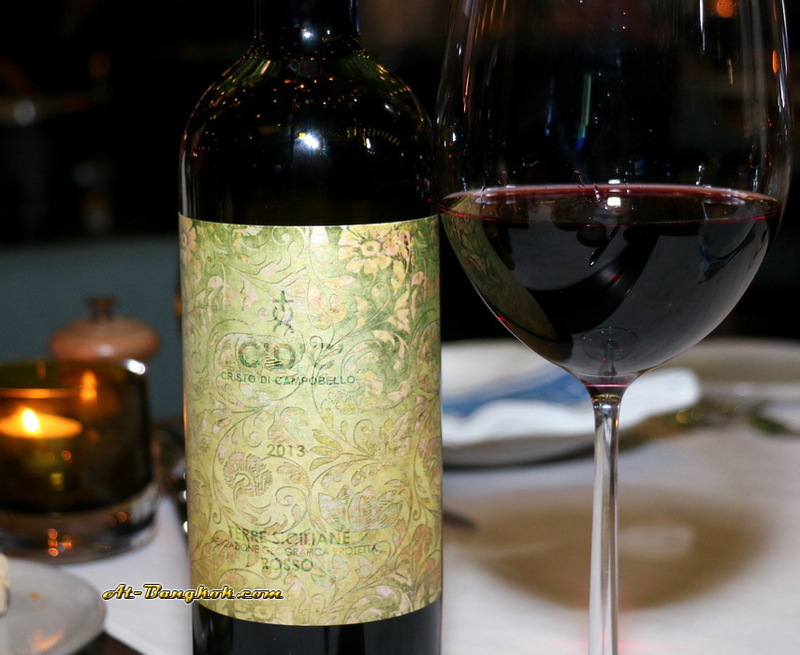 We choose the CDC Red Nero D’Avola, Merlot Cabernet-Shiraz, Italy 2013 (410 THB) to pair with the two main following dishes. 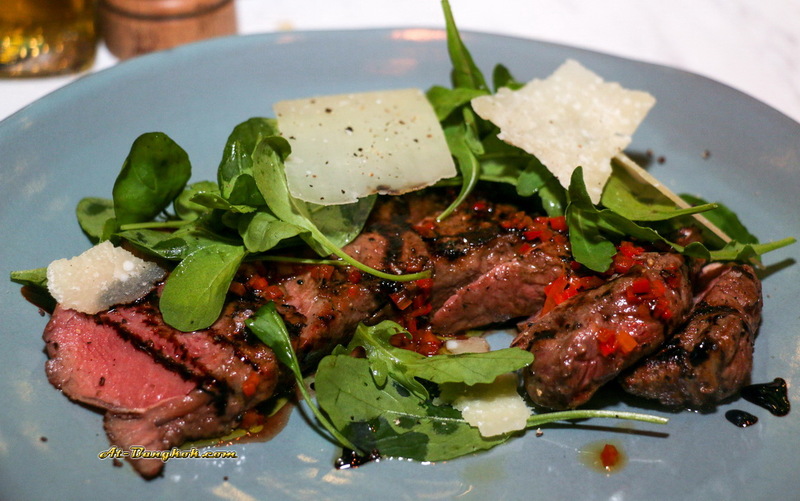 Contrafilleto di Manzo (1,400 THB); beef sirloin char grilled to perfection served with wild rocket, shaved parmesan, fresh red chilli and balsamic vinegar. The beef was lean but very tender; it had a smoky scent which made it very appealing, a really healthy dish and highly recommended. 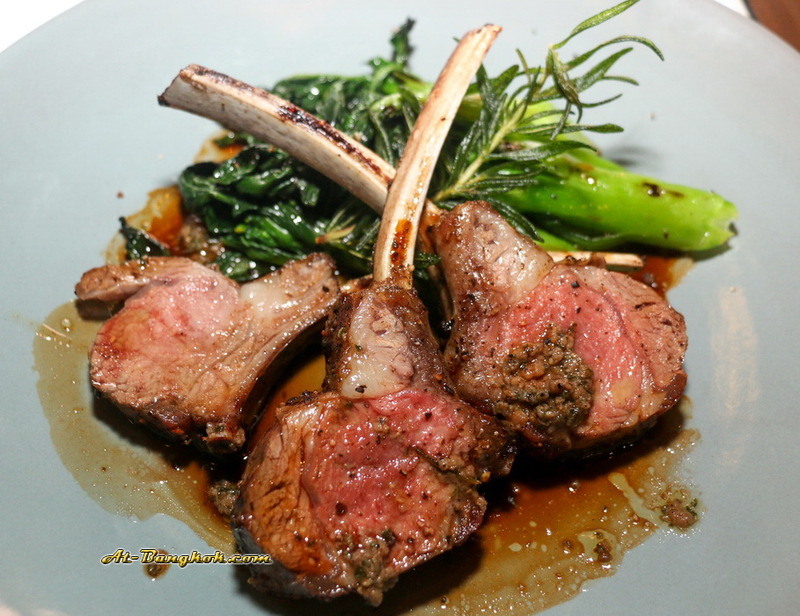 Costolette di Agnello (1,500 THB); Roasted Australian lamb rack with braised choy sum, anchovy and rosemary sauce, another extraordinary dish. My compliments to the chef; the scent of rosemary hit you the first thing then the juicy tender lamb and the sweet choy sum. We went crazy with the dessert; all of them from the menu were at our table. It seem like everyone was saving for dessert. 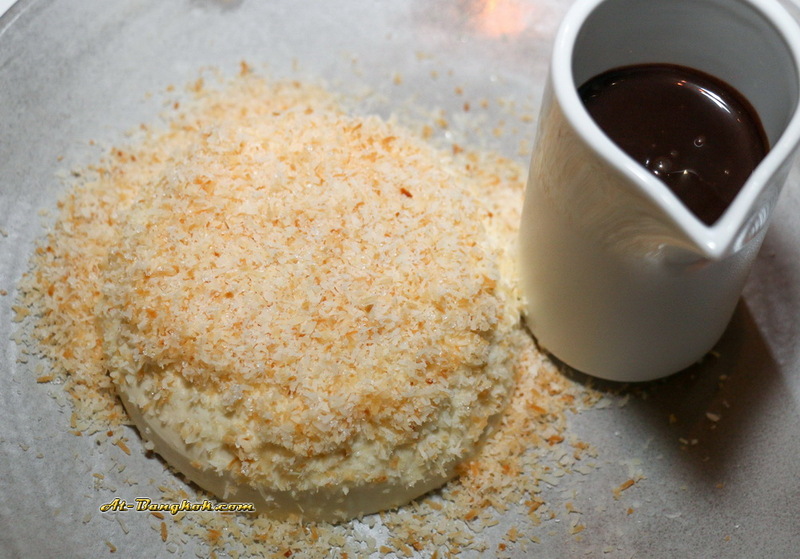 Pannacotta con Salsa di Cioccolato (200 THB); Vanilla panna cotta with grated coconut and chocolate sauce. The coconut and chocolate sauce added a nice variety to the already superb panna cotta. 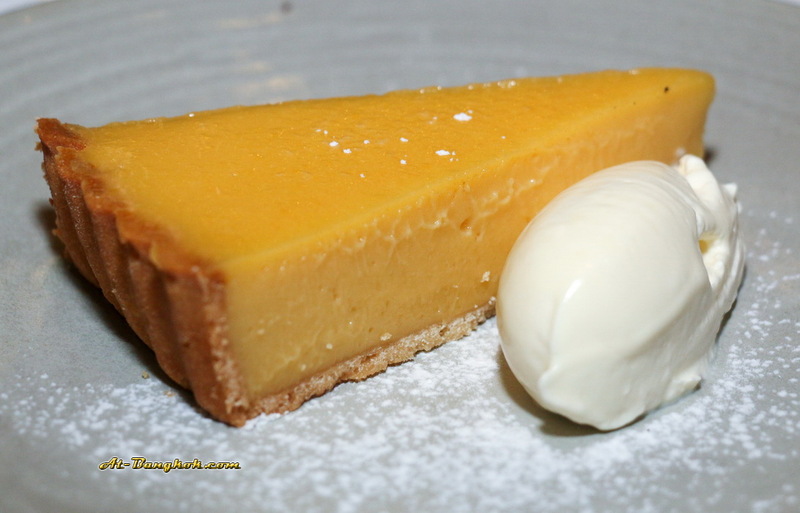 Crostata di Limone (175 THB); Lemon tart with crème fraiche. 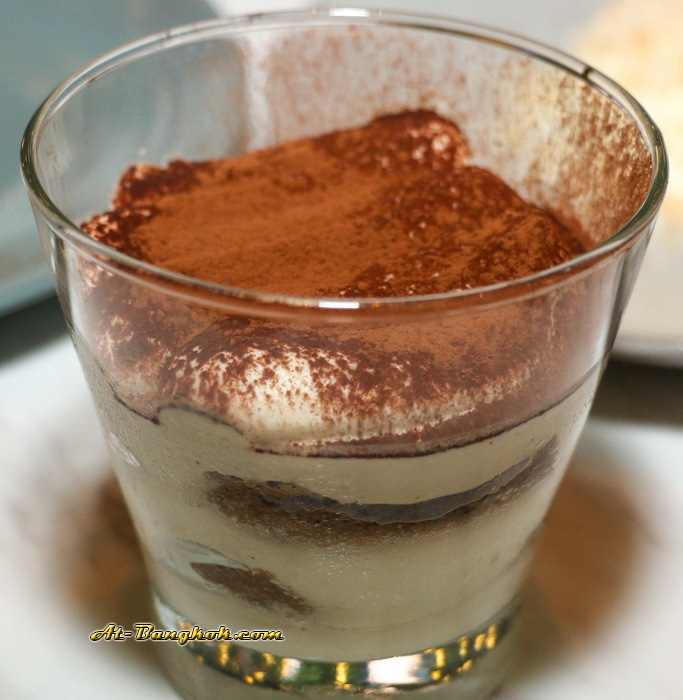 Tiramisu (200 THB); Home-made with Savoiardi biscuits, coffee mascarpone and marsala. 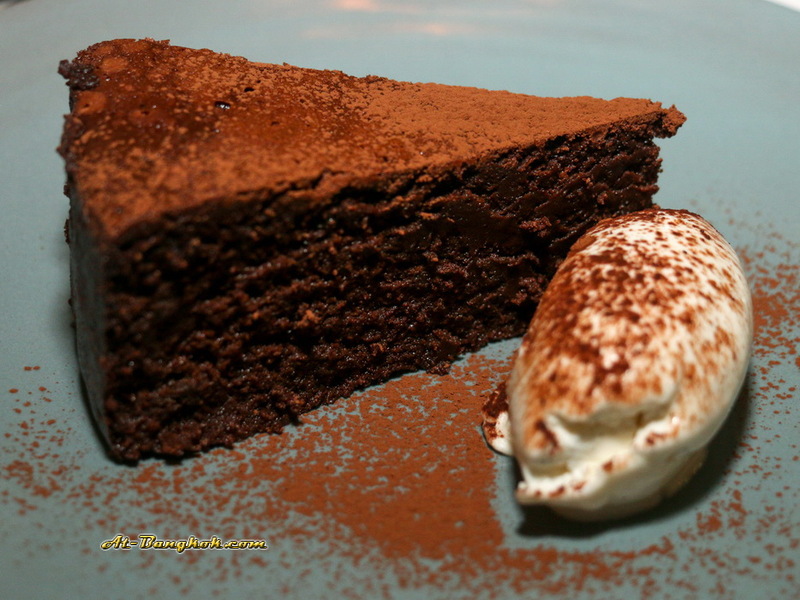 Torta di Cioccolato (200 THB); Soft chocolate cake with crema di mascarpone, the chocolate cake was very rich, full flavors of dark chocolate. The crema di mascarpone had some acidity that balance the richness of the chocolate. 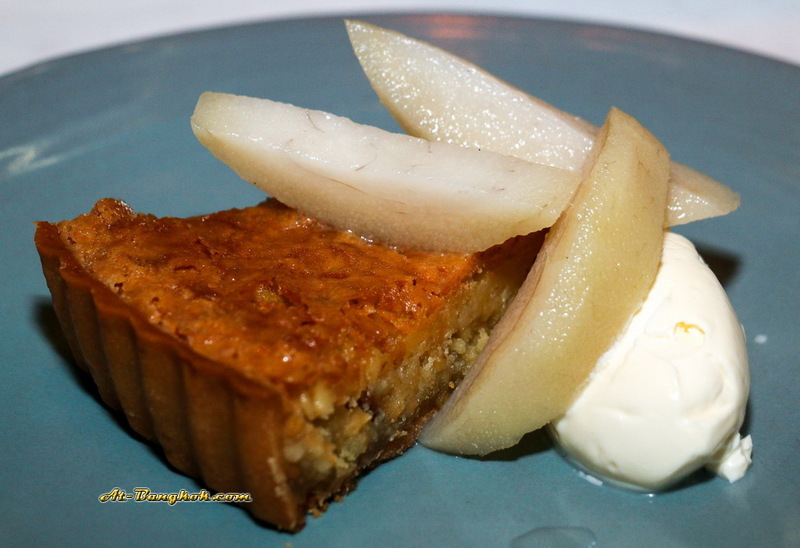 Torta di Mandorla (250 THB); Almond tart with poached guava with Madagascan fresh vanilla ice cream, if you are looking for just one dessert that has all taste and texture, this would be the one. 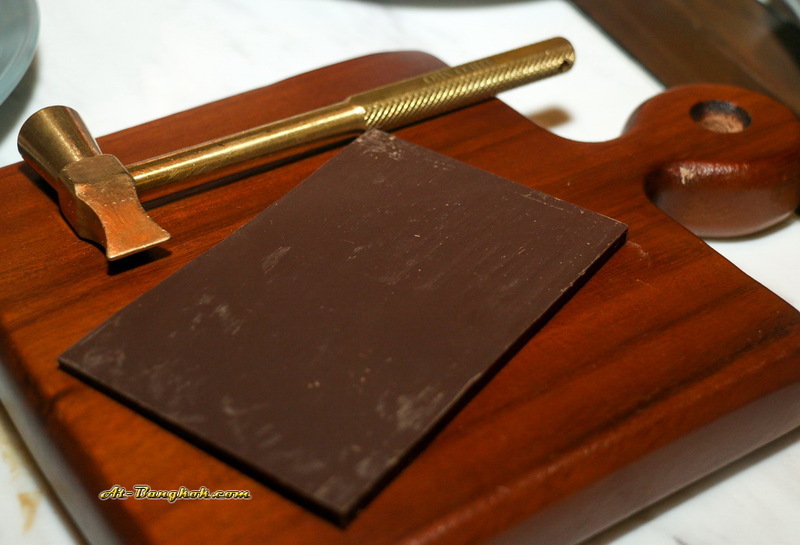 To end in style a big bar of dark chocolate was presented to our table on a wooden cutting board with a small hammer. Without any directions we knew what to do with it. Chef Chris Beverley did a great job in making each dish come to our table as perfectly as possible. The food we had that day were all good, I can’t really find anything bad to comment. Service was also very efficient, staffs were knowledgeable and attentive.